Old wall with graffiti texture that you can download for free. This is a high resolution graffiti picture. We have lots of free images of graffiti art that you can use in your projects. The urban art background has a cartoon graffiti font with dripping paint on a grunge old wall. 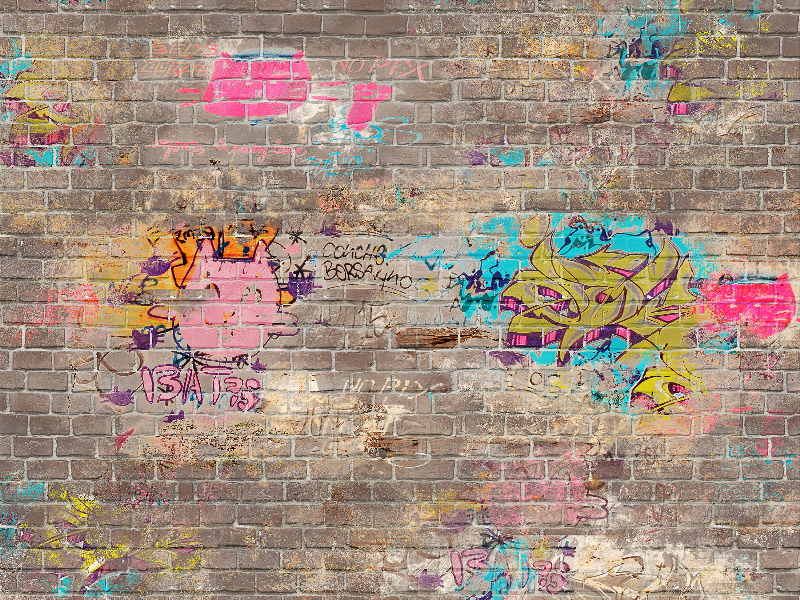 If you are looking for a graffiti background you can use this free image. Free texture of a graffiti wall typography design. The is the graffiti signature of the street artist. Download this texture for free and use in your Photoshop text effect projects or get inspired by the typography and create your own graffiti font set. Grungy graffiti wall texture that you can use for free. Create graffiti effect in Photoshop using this free urban street art texture. You can use this street art texture as graffiti background for your projects. This is a free street graffiti text texture that you can use in Photoshop or other design applications. Stencil graffiti art that you can download for free. This is a graffiti typography painted on a rough exterior building wall. What is stencil art? Stencil graffiti is a form of graffiti that makes use of stencils made out of paper, cardboard, etc to create an image or text that is easily reproducible. The stencil design is cut out and then the image is transferred to a surface through the use of spray paint. Graffiti stencils maker is really easy to create. You need for example pre-made graffiti letter stencils to combine and create different works. For further details you can search for a stencil art tutorial. Different graffiti text effects painted with spray on an old metal warehouse door. This graffiti on metal texture can be used for free. Grunge urban texture with graffiti spray paint on cement wall that you can use for free in your projects. The grunge street art texture can be used to create urban art backgrounds for your projects.